I’m a pure-blooded Filipino, born and raised on the beautiful island in PH named, Surigao. I grew up in a family of four where I am the eldest (and prettiest!) daughter. I have my one and only sibling whom I consider my best girlfriend (and worst nightmare!) with whom I have shared my fondest memories of childhood. My parents both always dreamed of a good life for the two of us. Both of them came from poor families which motivated them later on, to work eagerly even without a bachelor’s degree. 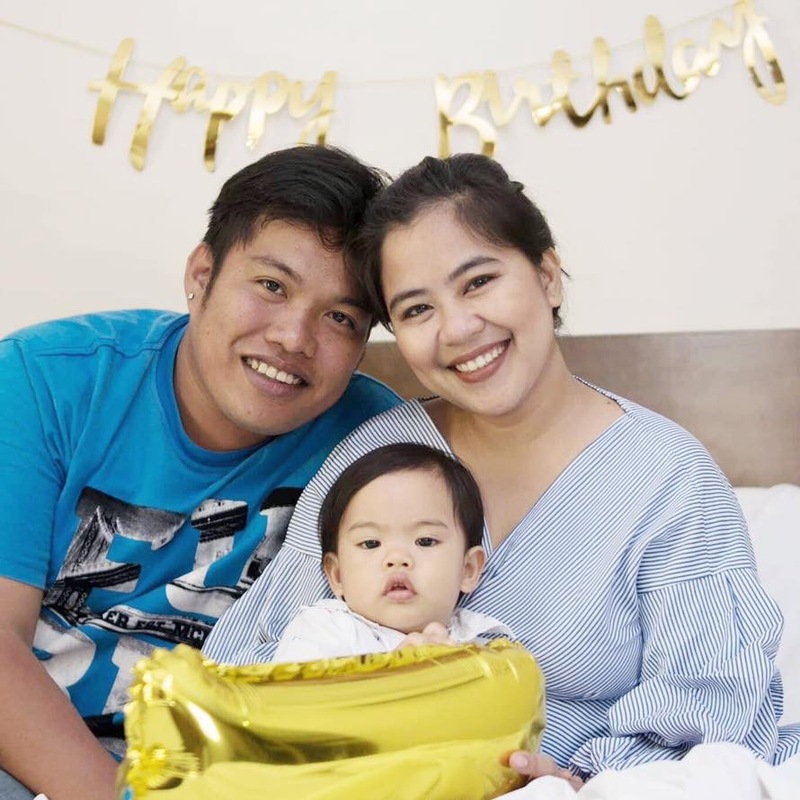 They’ve faced challenges and odds together and even moved to the Queen City of the south – Cebu, in search of greener pastures. Looking back, I will always remember how I was a super-woman at a young age. I would attend classes and then work part-time on my breaks and free hours. In between classes, I would sell pre-loved clothes and snacks just so I could save up to finance my miscellaneous and college needs. Through faith and perseverance, I finished my Bachelor’s Degree in Psychology – Major in Industrial Psychology. As I was totally focused on improving my family’s situation, I took the most practical jobs and set aside my then-dream to work in the field of Psychology. I began working in Business Processing Outsource (BPO) companies from 2011. My first exposure was as a Technical / Customer Service Representative for a VoIP account where I experienced dealing with different customers who were irate, frustrated, apprehensive and afraid. Building an emotional connection with customers is not easy and it’s even harder when there are no verbal or physical cues to be observed. My experiences, trainings, and knowledge helped me establish success in responding to customer queries in the most efficient and effective ways without sacrificing empathy. This love for resolving account and customer service problems has challenged me to extend more in the BPO industry. After 2 years, I took a huge leap of faith and moved to a newly opened account which offered a “day shift”. It was in July of 2013 that I started to work for Telstra-Teletech. For the first time in almost 2 years, I worked like a normal person and not as a zombie (with eye bags as dark as a panda’s). The Australian vibe, culture, and easy personality made me fall in love with the account, and so I invested almost half of my life there. For 3 years, I never had a thought of leaving the company (seriously!). It was then in December 2017 that my husband finally asked me to focus on “our” own family. We’d been married since November 2014 and still hadn’t had any children. So we took some rest and vacations for a few months and finally got our most prayed for wish. I fell pregnant in March and since then I have left the corporate world behind. Back when I was still pregnant, I had no work other than eating and sleeping. I was a human sloth, and I was dying of boredom. I had no means to buy myself anything fancy, for it was only my husband who was working. The budget was also tight as we needed to save for our coming baby. It was in summer of 2017 that my brother-in-law introduced me to working online. I was hesitant at first, but I still proceeded. I started out teaching English as a Second Language (ESL) to foreign students. It was a walk in the park for me, especially as I love teaching and I have Professional Education as a second course. I even have a license for it! From ESL, I moved to freelancing as a Virtual Assistant for Real Estate Developers. On the 5th of November 2017, I gave birth to my first baby, Paco Emmanuel. He was my ultimate dream, God’s miracle, my life. 🙂 I took some rest from working and focused on being a full-time breastfeeding Mumma for the longest 8 months of my life! My son was getting bigger and so were our expenses. I decided to get back to freelancing for two main reasons: I wanted to take care of my son whilst earning at home. I got back to work a week after my birthday in July 2018. It was an answered prayer for I was assigned to work as a Sales Operations Administrator for one of Austria’s biggest IT companies. I had a flexible schedule and the kindest manager ever. It was then that I realised I wanted to keep on working at home as a Virtual Assistant because not only did it allow me to be there for my child 24/7 and earn for our means of living, but on top of that – it kept my soul alive. I acquired skills and developed talents. I got to work with wonderful people, and it brought back my passion for working to bring success to a corporate goal and myself. Right now, I am happy to say that I have been a strong advocate of this industry, especially to my Mummy friends. 🙂 They’ve seen all the benefits and convenience of getting goals done in the comfort of your own home. Honestly, I believe anyone can work from home and achieve all their goals. It just takes patience, perseverance, dedication, and open-mindedness to be on top of this game. There are a lot of people now who are in the same market with the same skills that you have, you just differ in personality and your attitude towards work. I hope that my story was able to give you a glimpse of who I am as a person. Optimistically, I look forward to talking and working with you on how we could build your future empire. For a copy of Charmen’s resume please click here.